While 20-minute qualifying sessions seem hardly long enough to begin with, the session was shortened further as the result of 3 red flags. In a session in which every lap was faster due to increasing rubber and grip, drivers were rewarded for every lap completed. Having held back at the start of qualifying to get a clear run at a flying lap, Kaylen was unable to cross the timing line prior to the 2nd red flag and an earlier lap resulted in a P8 start. Drivers in the mid-field of Race 1 were busy with action and passing. Forward progress was difficult to maintain, resulting in P7 finish. 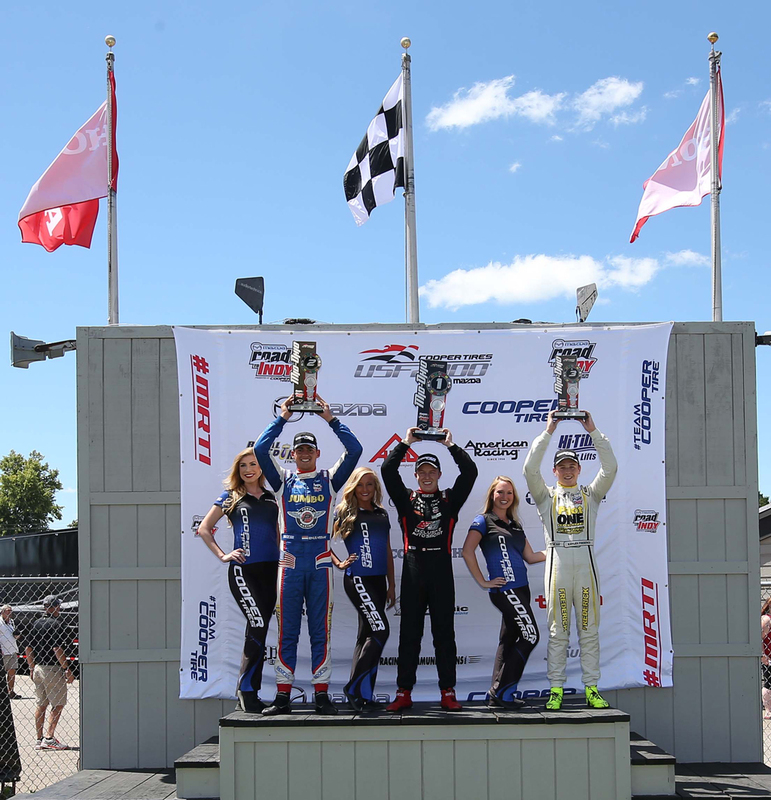 While the Pelfrey drivers hustled for the quick lap, fast times again escaped all three at Mid-Ohio: P7 start position for K-Rex. “We started out the weekend quick, improving the car every session. Unfortunately, qualifying was compromised for me due to very different conditions in the morning sessions, causing the tire temperatures to come up too slowly”. The green flag dropped and it was ‘Game On’ at Mid-Ohio. Kaylen overtook two positions into turn 5 and advanced to fifth in Lap 1. In the next lap, Kaylen overtook Lucas Kohl for P4. Forward progress continued on lap 3 as K-Rex drove deep in the braking zone to capture P3 from the USF 2K championship leader Oliver Askew. Kaylen steadily increased the gap to two seconds on Askew for the next 13 laps, and fought to close on P2. A late full-course caution, due to an incident in Turn Five involving Kory Enders (DEForce Racing) and Darren Keane (Newman Wachs Racing), set up a four-lap dash to the finish. At the green flag, Kaylen again dove hard into turn 5 in a move to overtake for P2. Alongside Veekay however on the outside, Kaylen this time pulled back on the pass. A second opportunity for the position in the final lap didn’t materialize as Veekay successfully held Kaylen at bay. Kaylen Frederick, the youngest driver in the field at age 15, finished in P3. 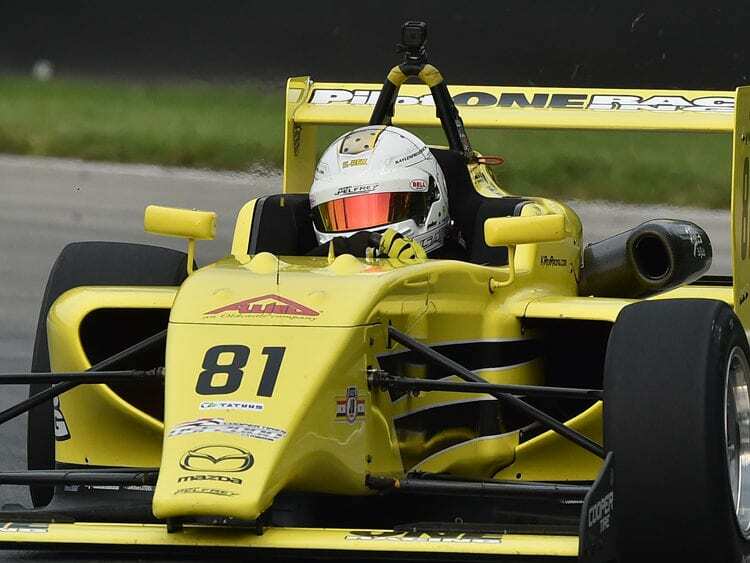 Team Pelfrey travels to Watkins Glen International Raceway from September 1st to 3rd for the final round of the Mazda Road to Indy Championship Presented by Cooper Tires. Please follow Twitter @kaylen_fred, Instagram #kaylen_frederick, or Facebook Kaylen Frederick to keep up with the action. For inquiries contact Chelsea Timmerman at ct@coforce.com.